So as a follow-up to last week’s post, I’m sharing five mobile apps specifically created for humanitarian aid workers or … the humanitarian at heart. 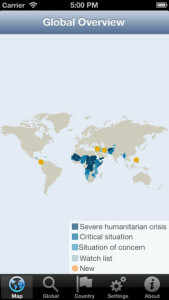 • Which humanitarian crises currently exist? • What has happened in the last seven days? • What is the situation in the country affected by a crisis? • Which countries could be prioritized in terms of humanitarian response? 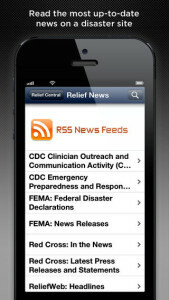 Brilliant app for aid workers and those that just want to keep up with world news and crises. Available for iOS (Apple’s mobile devices) and Android. 2The Relief Central app aims to assist relief workers and first responders by sharing updates and news from aid groups working on the same humanitarian crisis. 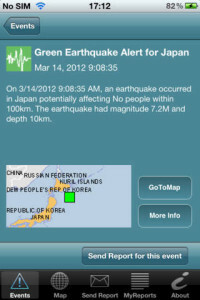 The app also shares disaster assessments and response information. 3iGDACS provides near real-time information about natural disasters and allows you to send back information in the form of a geo-located image and text. The Global Disaster Alert and Coordination System is intended to tap the abundant information about disasters available from people who actually experience them. Reports of the iGDACS users are used to improve the overall situational picture. 4The Humanitarian Kiosk app provides a range of up-to-the-minute humanitarian related information from emergencies around the world. Once installed, you simply select the kiosks that you are interested in and they will be automatically downloaded and synchronized to your mobile device. Downloading the files enables offline abilities ,which is extremely important, as we know that most responders do not have a regular, consistent Internet connection. 5OK, so while Voxer isn’t specifically designed with the aid worker in mind, it is the app I most often use when working abroad. I wrote about this app in my last blog post but it definitely deserves a place on this list. 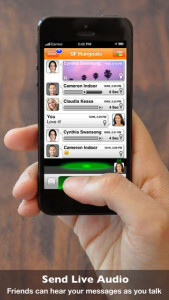 Voxer is a free walkie-talkie style phone app that lets you talk to anyone in the world using live text and voice. It also lets you send photos. Voxer really does works just like a walkie-talkie — only better, because it records all your messages for playback later. It’s especially great for international organizations and aid workers who can use it to communicate with other program and headquarters staff. No dialing or adding country codes, just hold down the talk button and talk! Brilliant and super intuitive app. Use it on just about any mobile device. Did I miss any? In the comments below, tell me what some of your favorites apps are. Like I said, they don’t have to be made specifically for aid workers to be great tools, so comment away! • Does a mobile app make sense for your nonprofit? (Socialbrite) Caroline Avakian, Socialbrite’s Managing Partner, is a global development communications strategist in the New York City area with a focus on strategic communications, technology, and innovation. Contact Caroline by email, see her profile page, visit her website, follow her on Twitter and Google Plus or leave a comment. Absolutely! Both of those are fantastic as well. Thanks for sharing, JD!